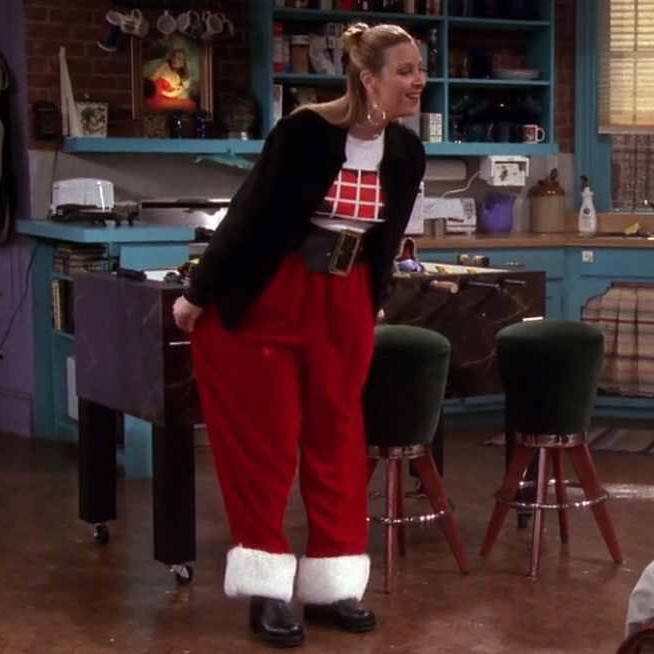 Friends S4:E19 – Morning’s here! Sunshine is here! The sky is clear, the morning’s here! The morning’s here!. How’s it going this fine Monday morning, Friendsters? I’m happy to announce that (including today) there are only five episodes remaining in this, our fourth installment of Friends 20/20. Man, that summer vacation cannot get here soon enough. Thanks to the nice weather we have on tap this week Denver (with a high of 79 degrees tomorrow), I’m already having visions of the sand between my toes and the umbrellas in my drinks that I’ll be enjoying in an undisclosed tropical location in exactly 30 days. That being said, there’s no time to dilly dally (or Dilly, Dilly for that matter). I’m on a mission to dissect this episode with the cool precision of a Masters’ winning putt, and then get into the club house quicker than Patrick Reed aka Captain American after winning his first green jacket. Who’s with me? Okay, good. In today’s episode, we find Monica and Rachel at their wits’ end from living in Chandler and Joey’s hole of an apartment. Monica and Rachel start conspiring to figure out a way to compel Chandler and Joey to agree to give then the good apartment back. When Rachel happens into her father’s Knicks season tickets (via her mom winning them in the divorce), the ladies believe they have the juice to get the gentlemen to agree to trade back. And had they just been negotiating with Joey, who lives life by the creed The Knicks Rule All, they would’ve been right. Chandler, however, proved to be a tougher nut to crack and when they couldn’t get him to agree, they made the rash decision to repeat the mistake that got them into this mess in the first place: gambling for the apartment. Of course, Monica and Rachel lose the bet (again) leaving Chandler and Joey with both the good apartment and the Knicks season tickets. However, under advice from counsel (none other than the inventor of Phoebeball herself), Monica and Rachel stage a Sneak Attack and switch the apartments back while Chandler and Joey are at the Knicks game. (Gandalf Gaffe alert.) Then, in a moment of pure, unfiltered comedic joy, Joey enters into his and Chandler’s old apartment (what is supposed to still be Monica and Rachel’s apartment but has now been switched back) and goes to the fridge to grab beers without even noticing the change. Predictably, Chandler is upset and goes across the hall to be greeted with the declaration, “WE TOOK OUR APARTMENT BACK.” Even more predictably, the Great Department Swap of 1998 is settled once and for all when Monica and Rachel agree to kiss for one minute in exchange for Chandler and Joey allowing them to keep the good apartment. So in the end, despite losing the big apartment, it’s a pretty good week for Joey Tribbianni. Not only is he now a New York Knicks season ticket holder, but once again he now has the privilege to wake up and begin every day with: Morning’s here! The morning’s here! Sunshine is here! The sky is clear, the morning’s here! Get into gear! Breakfast is near! The dark of night has disappeared!!. Oh yeah. Also, Ross got engaged to Emily. Late. Recap in the Key of Phoebe – This is the one where Monica and Rachel challenge Chandler and Joey to a bet to win their apartment back after they can’t convince Chandler to trade it back for Knicks season tickets, Ross impulsively proposes to Emily, Phoebe wears Santa Clause’s pants and creates a new sport, and ultimately Monica and Rachel steal their apartment back and convince Chandler and Joey to let them keep it by kissing for one minute after losing both the Knicks tickets and the good apartment in Phoebeball. Gandalf Gaffes – Welcome to about as straight forward of a Double G as your ever going to see. In Friends S4:E12 and Friends S4:E13 it takes a great deal of time and care for Monica and Rachel to complete the process of switching apartments with Chandler and Joey (particularly for Monica). However, in this episode, Monica, Phoebe, and Rachel complete the process within the three to four hours that Chandler and Joey are at a New York Knicks basketball game. We can all agree that this is impossible but because it was done to enhance the comedic punch of the storyline, I am ruling it a level one infraction. Gandalf Gaffe #19: Monica, Rachel, and Phoebe switch Monica and Rachel’s apartment with Chandler and Joey’s during the time that Joey and Chandler are at a Knicks game. We all know this is impossible. And since in Friends S4:E12 & E13, it takes the normal amount of time and care to conduct the move, this is a gaffe.